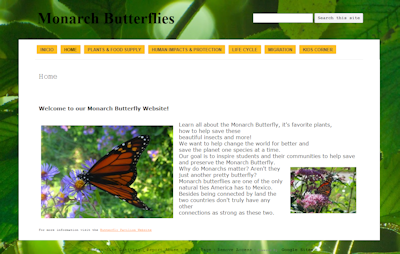 In a problem-based learning exercise, the Butterfly Pavilion asked the environmental science students of Arvada Senior to create a website that would inspire elementary students and their communities to help conserve the threatened Monarch Butterfly. Student design teams used classroom information, independent research, and a visit by Peck Elementary third-graders to develop their concepts over the fall semester. The students were supported by web design experts, marketing managers, and mentors from the Colorado Department of Labor and Employment as they sought out the knowledge they needed to complete their task. Many of the students brought existing skills and expertise to the task, but they also learned to ask for help in areas where they were lacking. 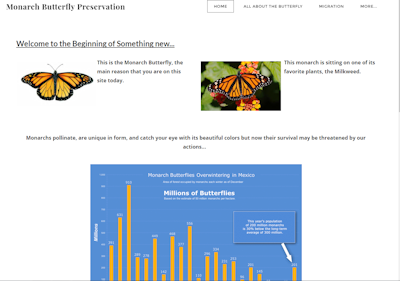 A panel of butterfly and marketing experts, as well as the web designers themselves, ranked the competing designs but the top three were scored so closely that a single peer vote separated the first team (Mathew Holbrook, Natalie Rodriguez, Valana Ruiz)from the two teams tied for second. All of the design submittals can be seen below. 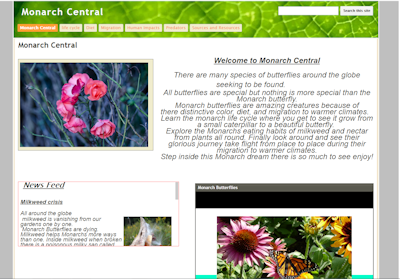 The selected design will be linked from the Butterfly Pavilion website. The students told principal Gina Rivas that this type of project enhanced their education by making the classroom learning relevant to a real-life need, as well as preparing them to create work projects in the same way they would in the adult world.